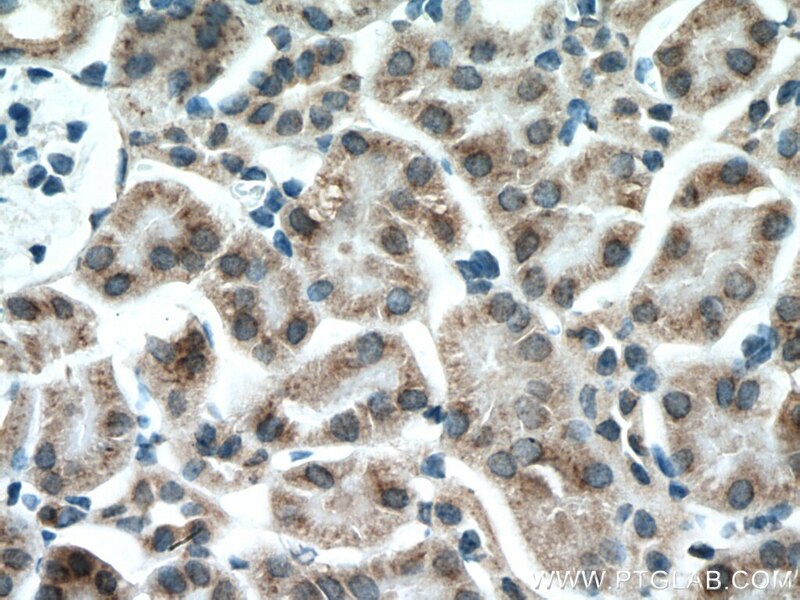 Immunohistochemical analysis of paraffin-embedded mouse kidney tissue slide using 16716-1-AP (GALNT3 antibody) at dilution of 1:200 (under 10x lens) heat mediated antigen retrieved with Tris-EDTA buffer(pH9). 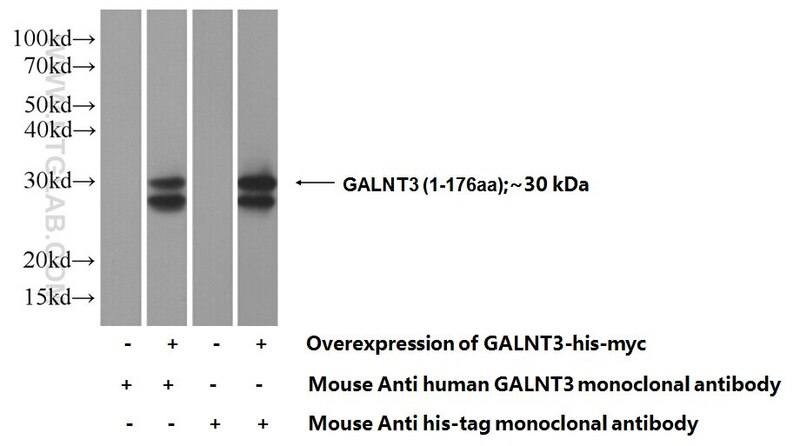 Effect of rosuvastatin on the expression of candidate gene GALNT3 in atherosclerosis. LINC01296/miR-26a/GALNT3 axis contributes to colorectal cancer progression by regulating O-glycosylated MUC1 via PI3K/AKT pathway. 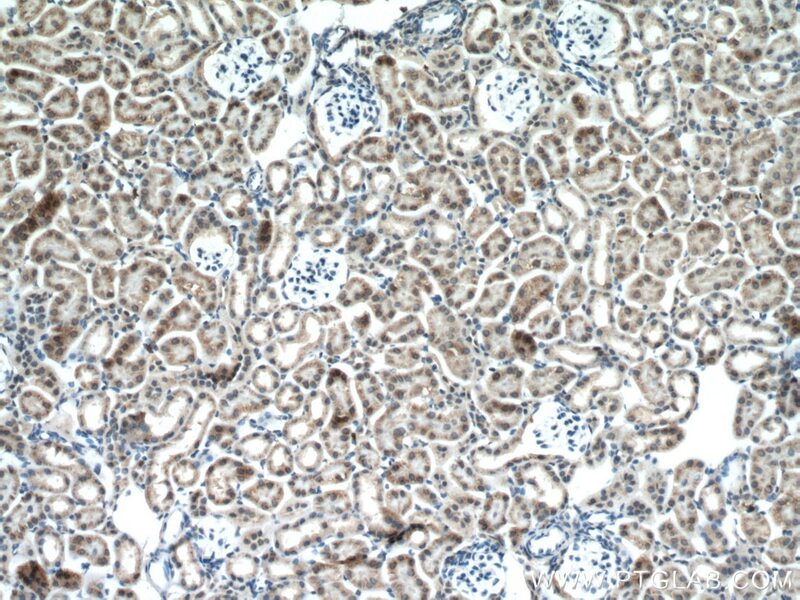 Immunohistochemical analysis of paraffin-embedded mouse kidney tissue slide using 16716-1-AP (GALNT3 antibody) at dilution of 1:200 (under 40x lens) heat mediated antigen retrieved with Tris-EDTA buffer(pH9).